Welcome to D & S Services, we are glad you found us. We are located in Mason City, Iowa, and serve the entire Midwest and beyond, including all 50 states. Here at D & S Services, we offer expert quality accounting, payroll and tax services. We are ready to serve you. Whether your are seeking assistance with individual tax returns, business tax preparation, annual or quarterly payroll reporting, bookkeeping, audit representation, or many of our other areas of expertise, you can be certain D & S Services has you covered. Please call our office today at 641-423-3200 to speak with a tax expert. We launched D & S Services with the goal of providing superior quality, professional individual & business tax preparation, payroll and accounting services at reasonable costs. 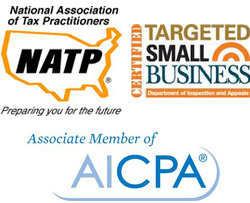 Our high standards, and specialized tax knowledge show each and every client how important they are! We make old-fashioned house calls. We answer the phones & reply to messages on the weekends. We encourage face-to-face tax preparation. We ask questions to help taxpayers receive the biggest refund or pay the lowest tax legally possible. We manually check each tax return before e-filing. We provide services no matter where our clients are located, in the way that is most convenient to them. It’s not above and beyond. It’s just how we do business! D & S Services has been helping Taxpayers & Businesses since 2000. Accountability: We behave ethically, act openly, and take integrity in all that we do, taking responsibility for our actions and work. Excellence: We strive to achieve excellence in everything we do. For information on services for individuals, please click here. For information on services for businesses, please click here.